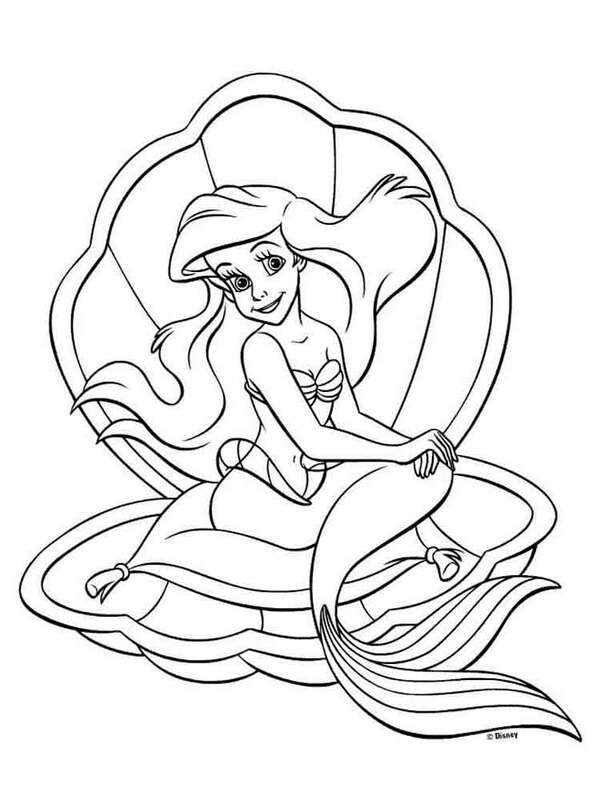 The Little Mermaid coloring pages are created on the basis of one of those cartoons which are loved by absolute majority of girls. 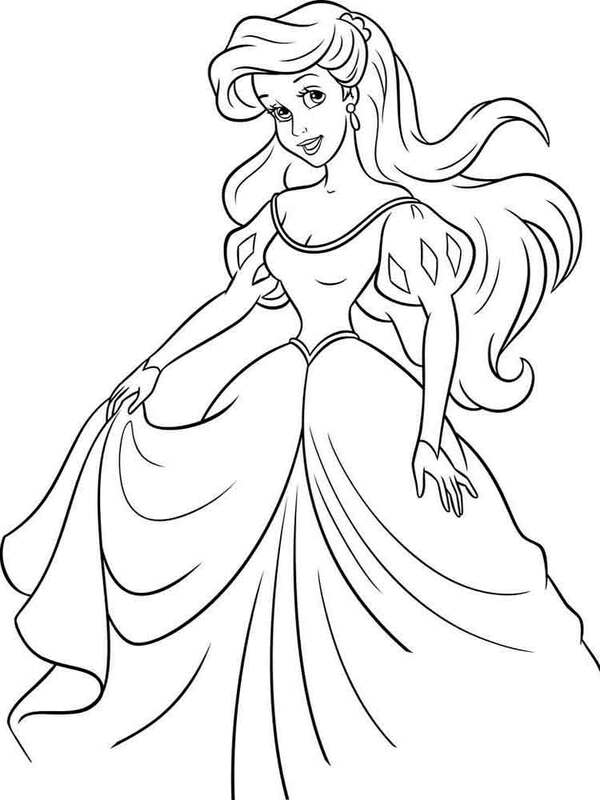 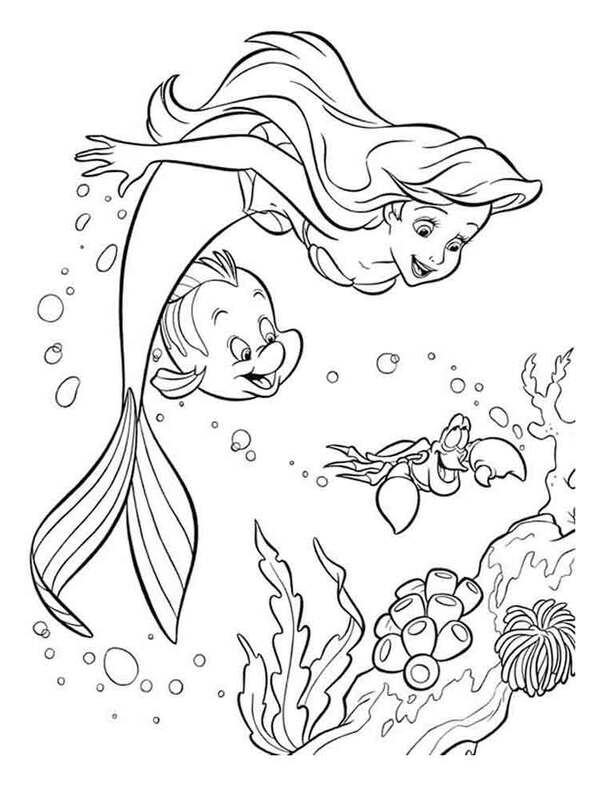 For certain any girl will be glad to download and print beautiful coloring pages with the Little Mermaid. 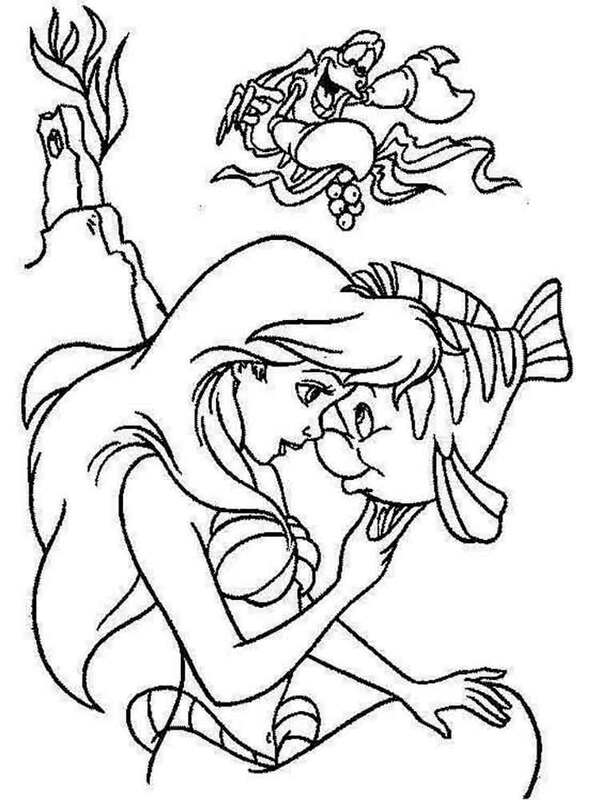 It is lovely story about the gentle girl-fish Ariel, about her hard destiny in an underwater kingdom, about its romantic love-story with prince Eric, about its cheerful adventures with an amusing goggle-eyed small fish Flounder, eternally putting on airs royal servant crab Sebastian, friend-laugher Pearl and many other heroes of "The Little Mermaid". 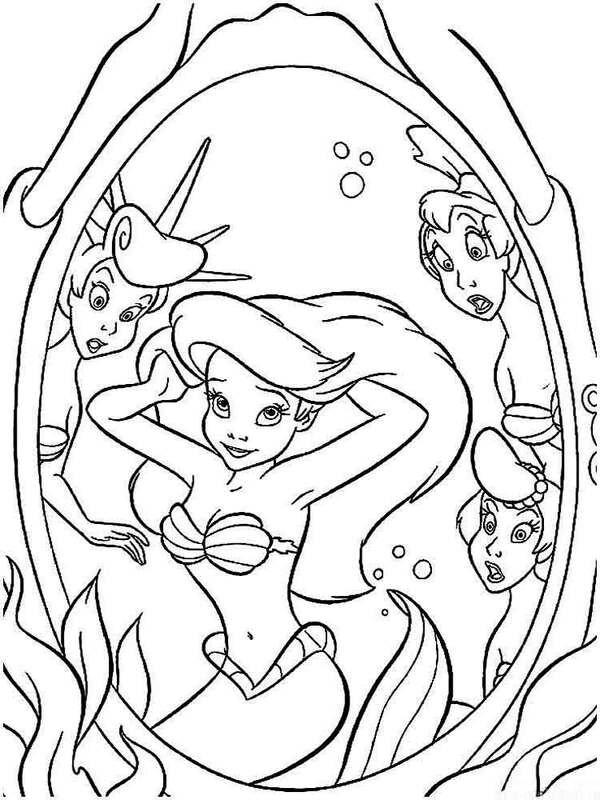 Undoubtedly, any parent will be pleased by the fact that viewing of this cartoon of the Disney` company is not empty pastime for your child. 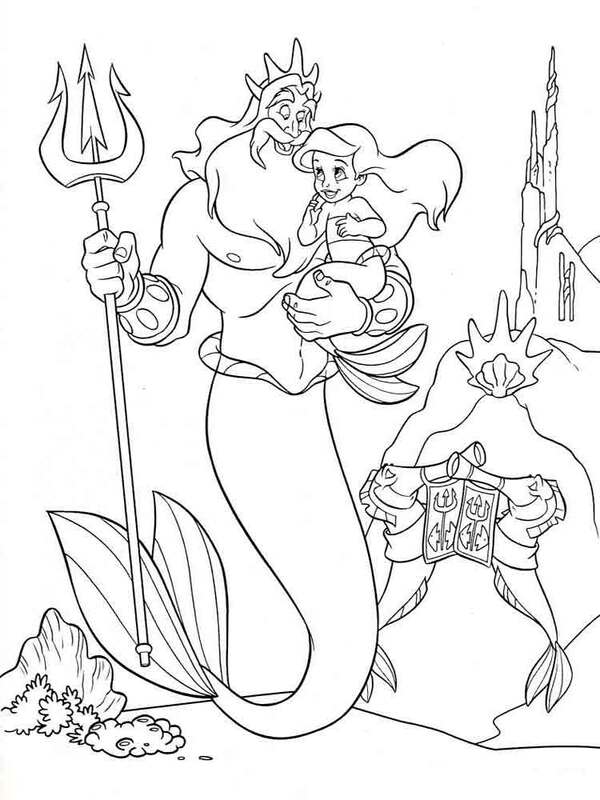 Your girl, following to the Ariel and her father King Triton, will learn that a parent`s authority is indisputable, and it is necessary to listen and follow father`s and mother`s advices even if own opinion differs from theirs. 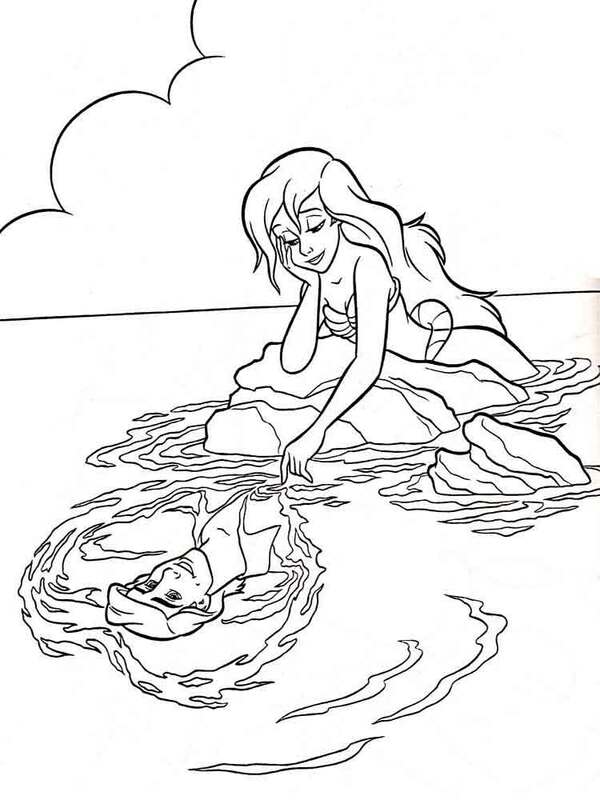 Parents always love their children, always care for them and wish them all best. 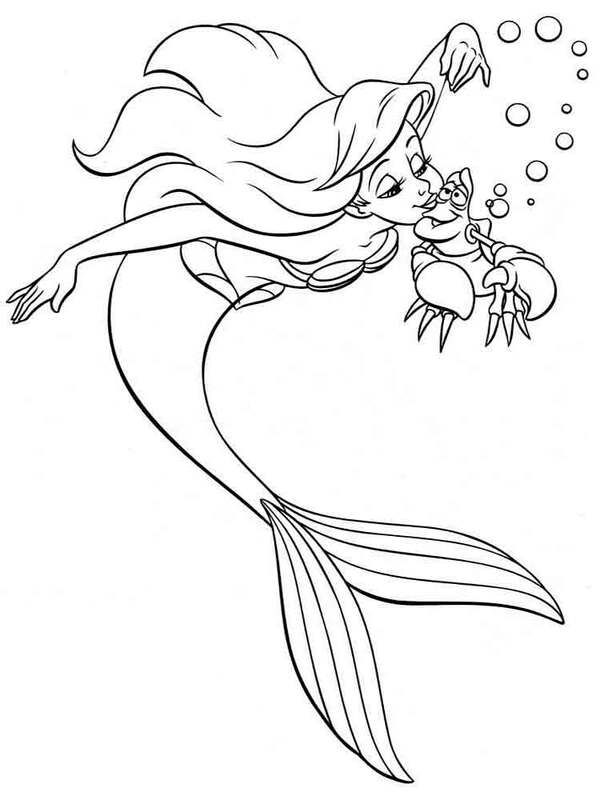 The cartoon "The Little Mermaid" teaches kids to love animals, to care and protect those who are younger than us. 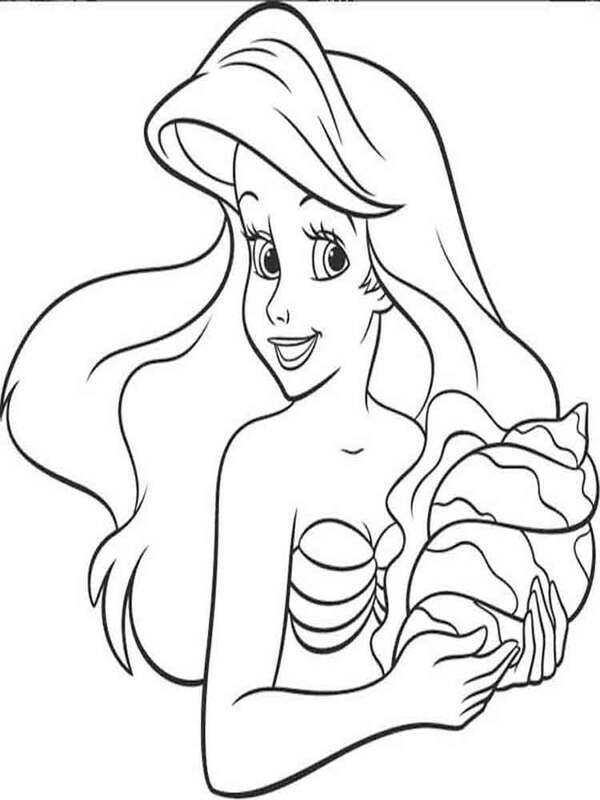 Ariel`s kind acts will serve as a good example for your daughter. 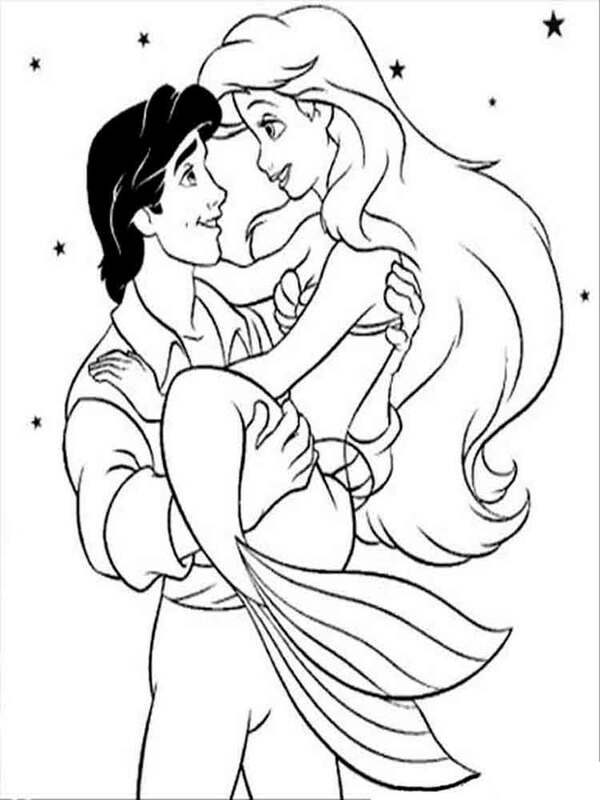 The story about self-sacrificing and unconditional Ariel and Eric`s love will blow the mind of any girl. 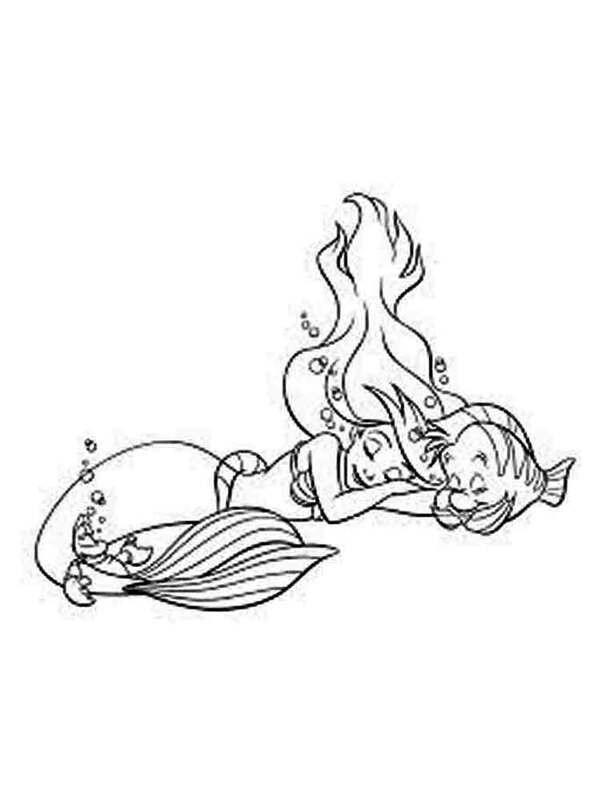 Perception of the relations between the man and the woman as something very kind, gentle, sublime and having surely happy end – here that will be surely received by your girl after viewing of the remarkable trilogy "The Little Mermaid". 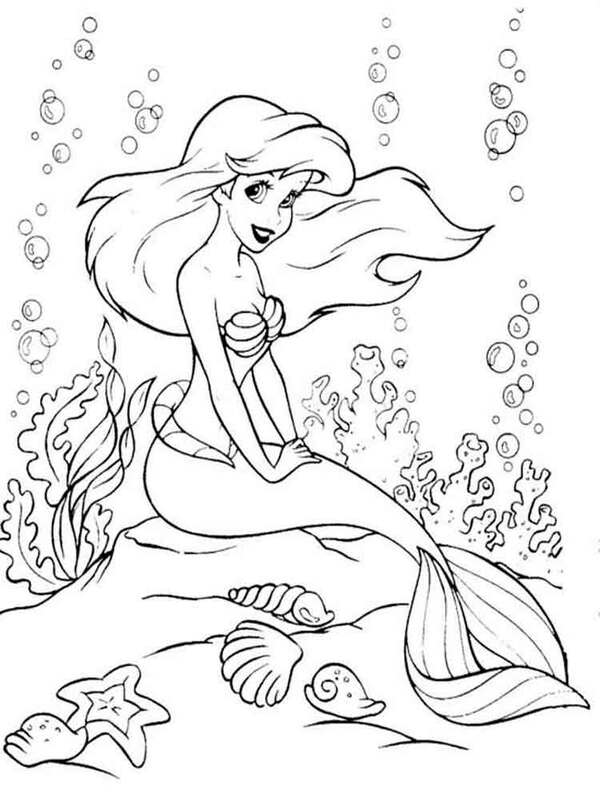 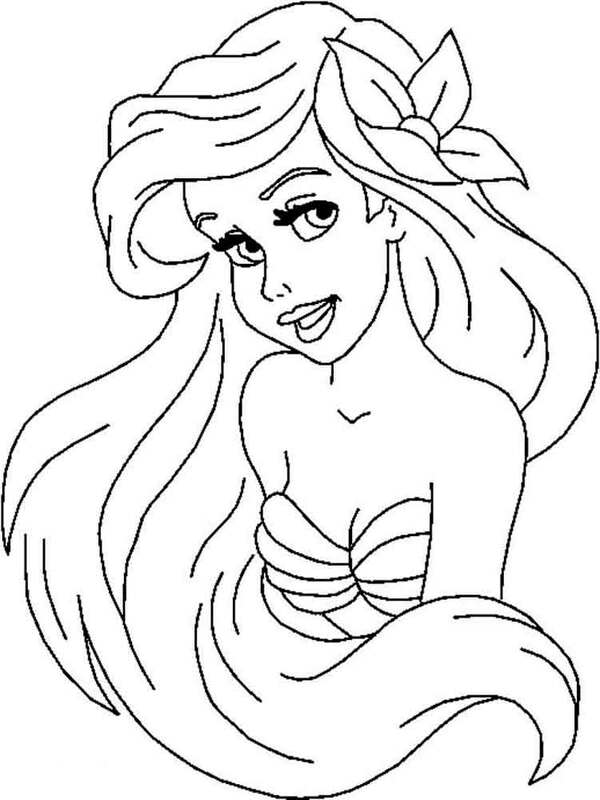 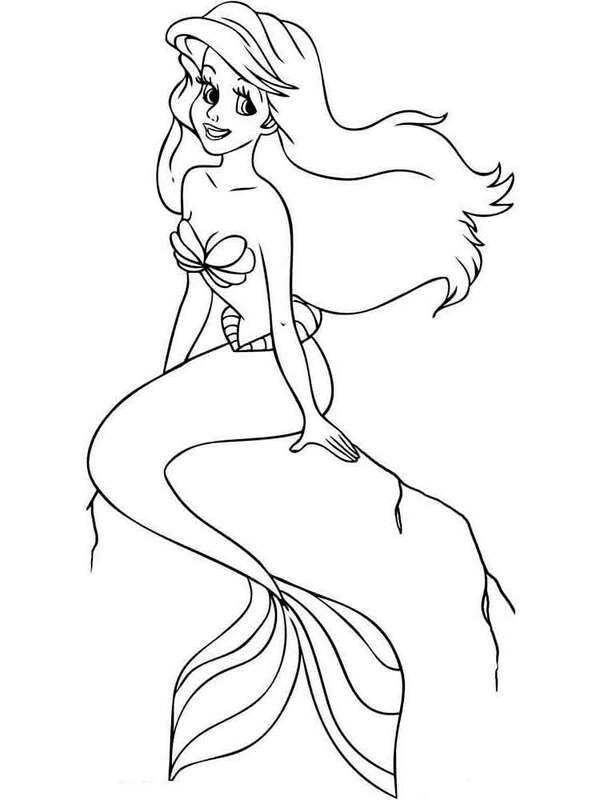 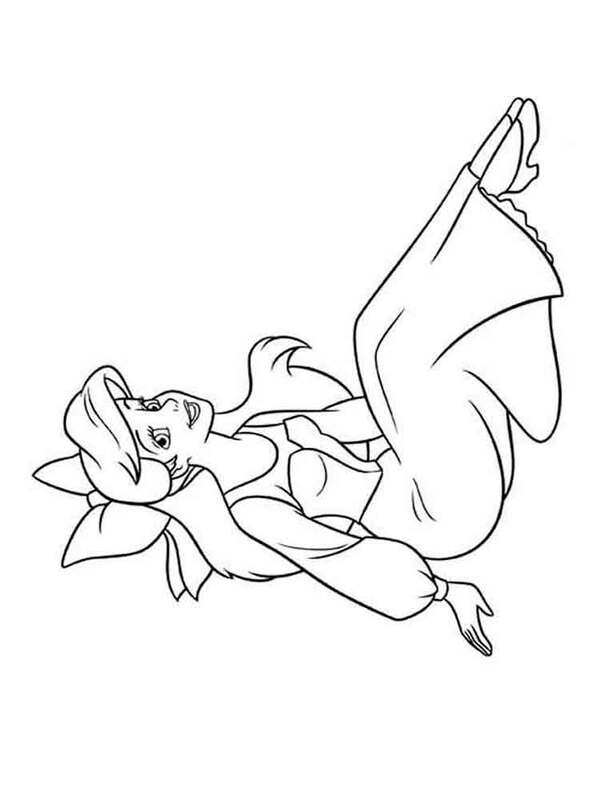 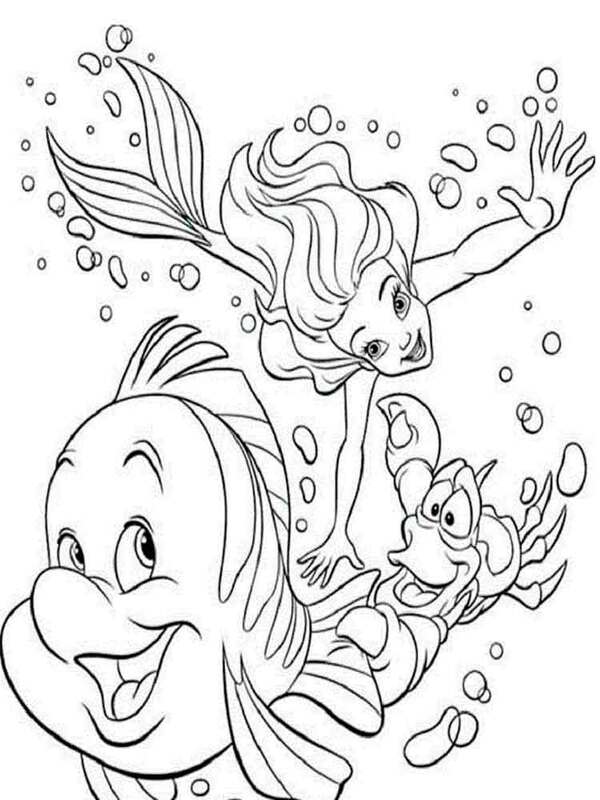 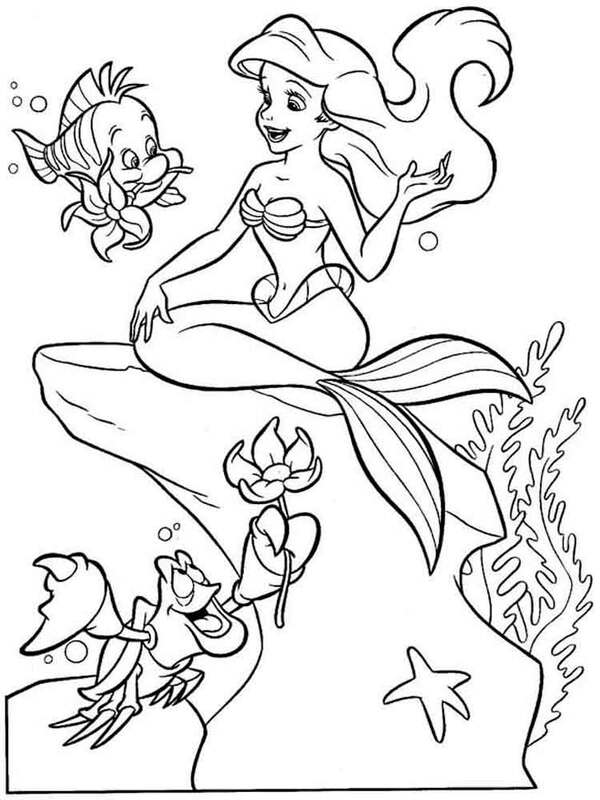 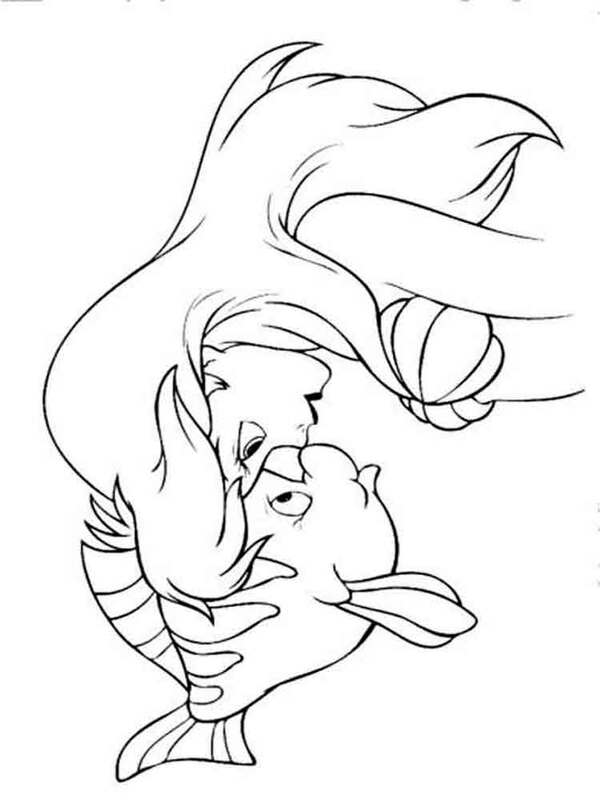 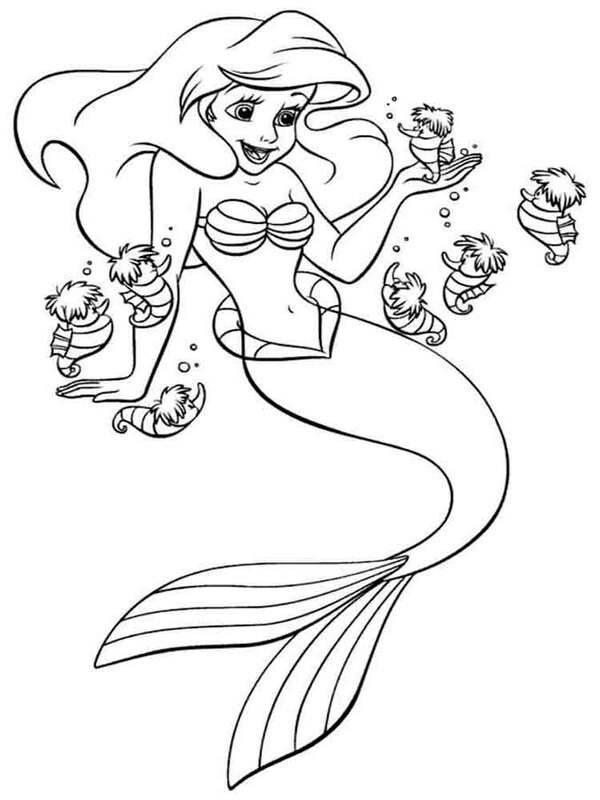 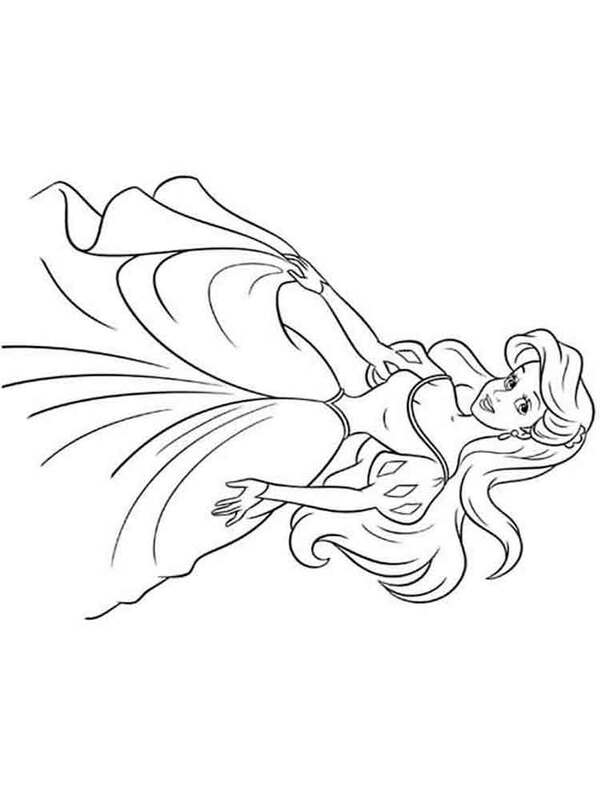 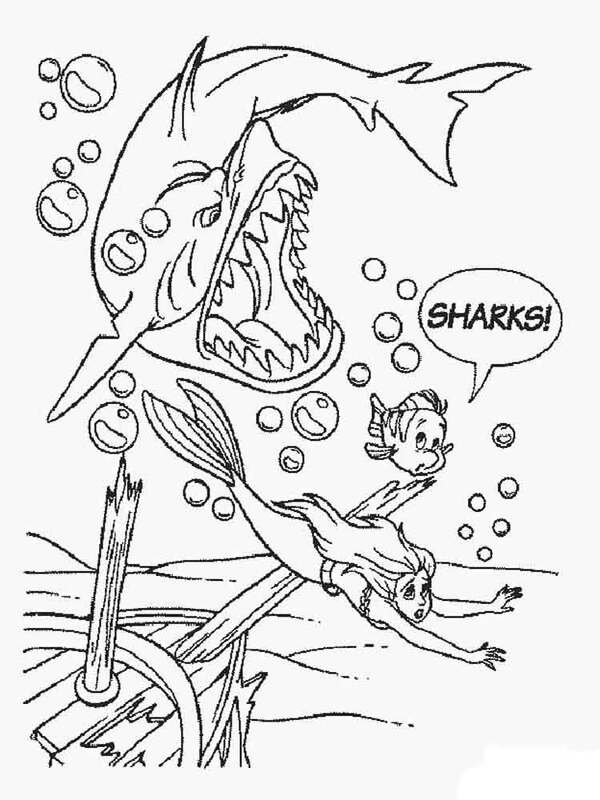 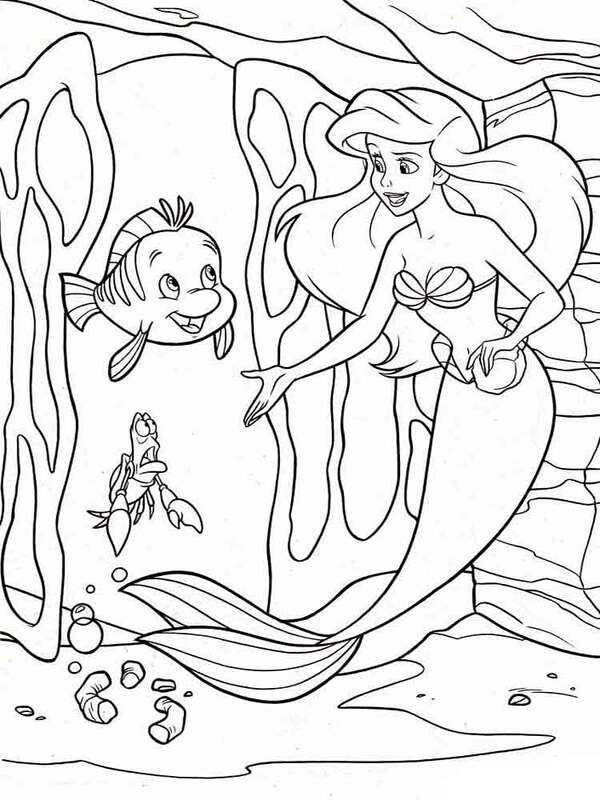 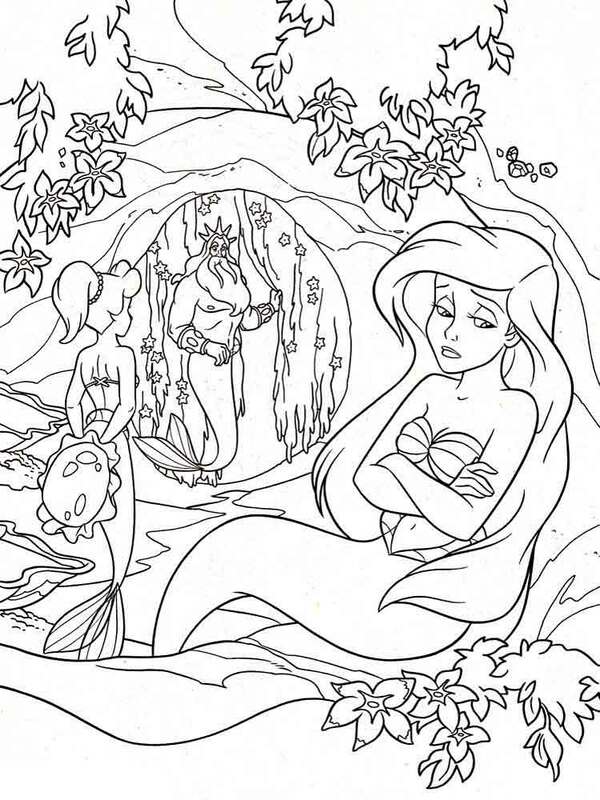 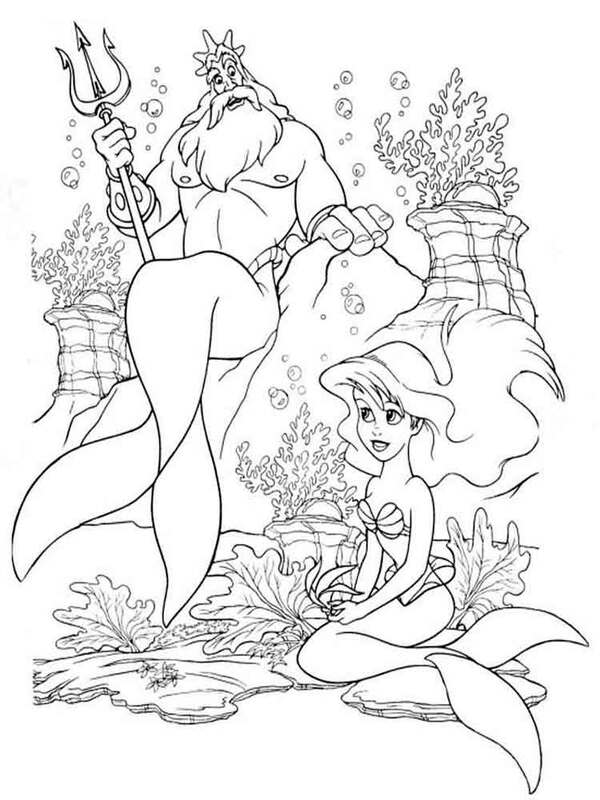 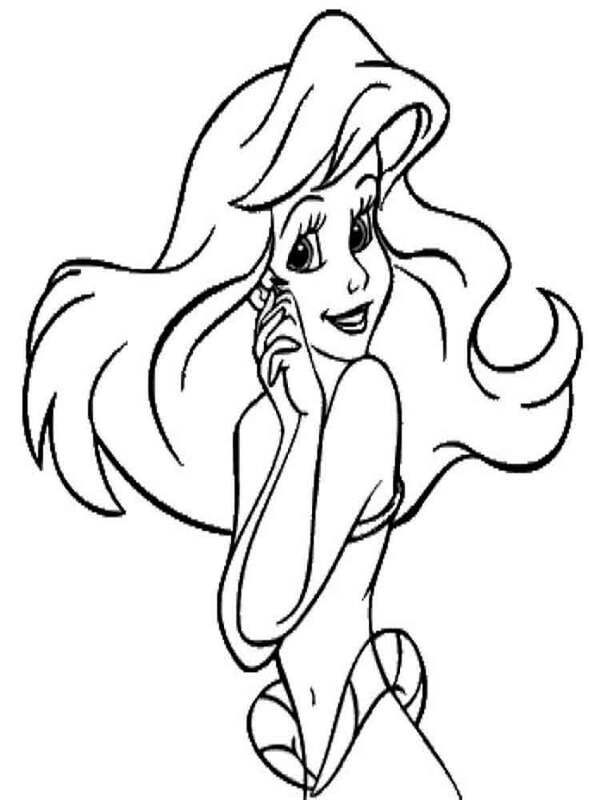 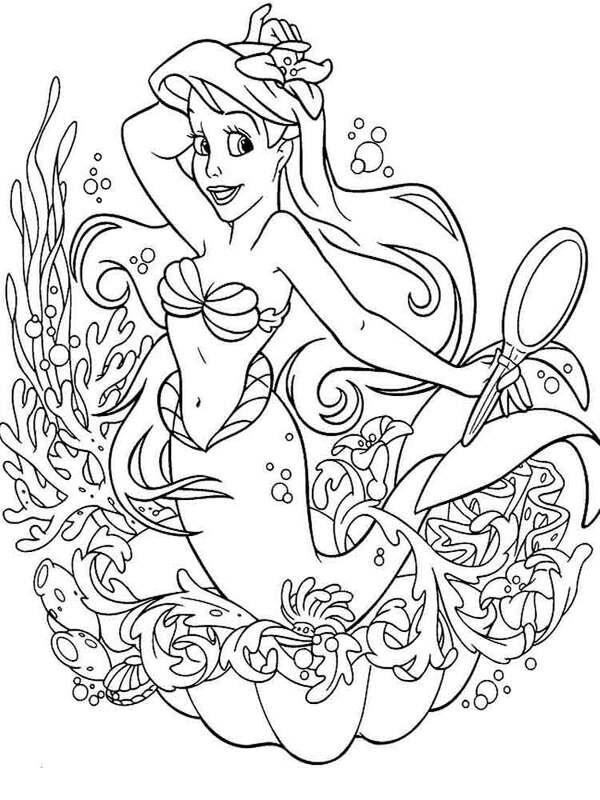 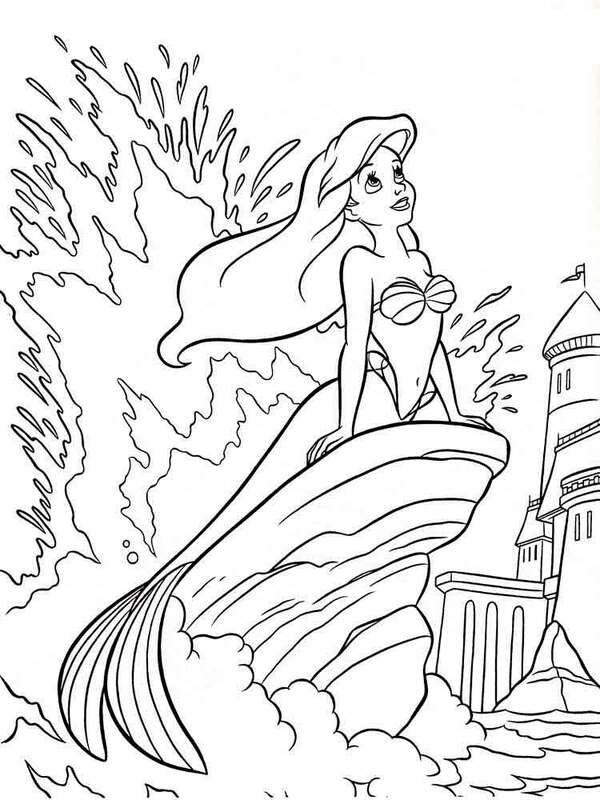 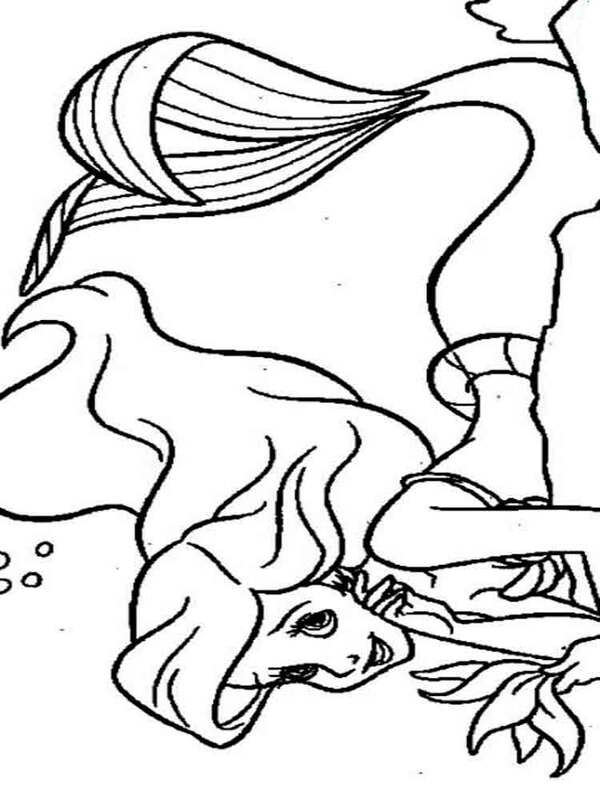 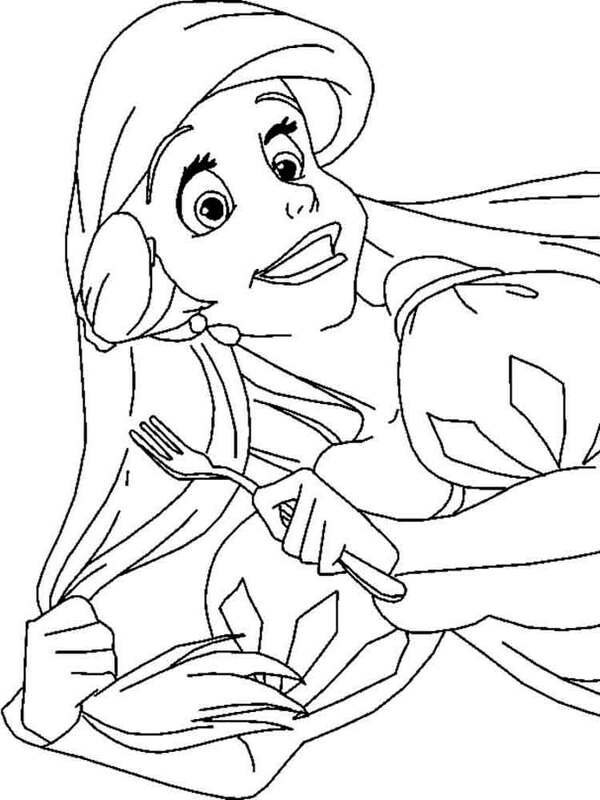 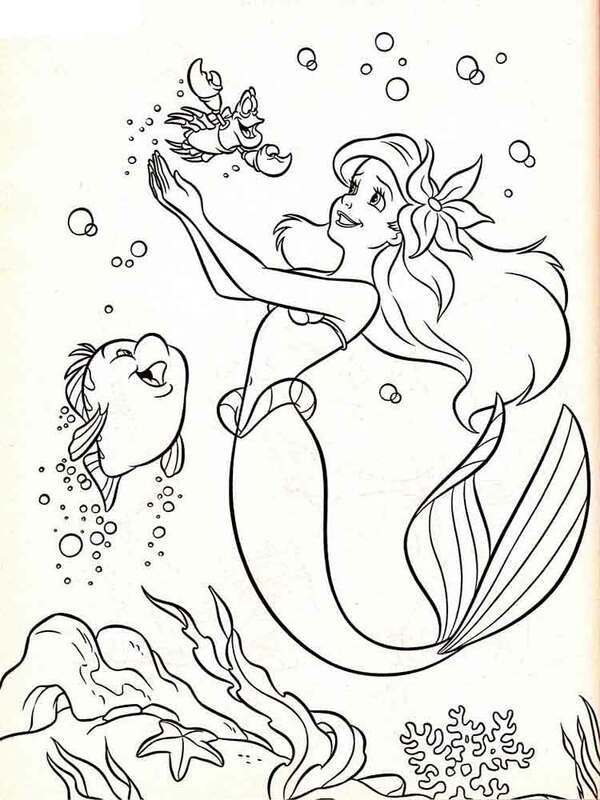 To download and print The Little Mermaid coloring pages is very easy. 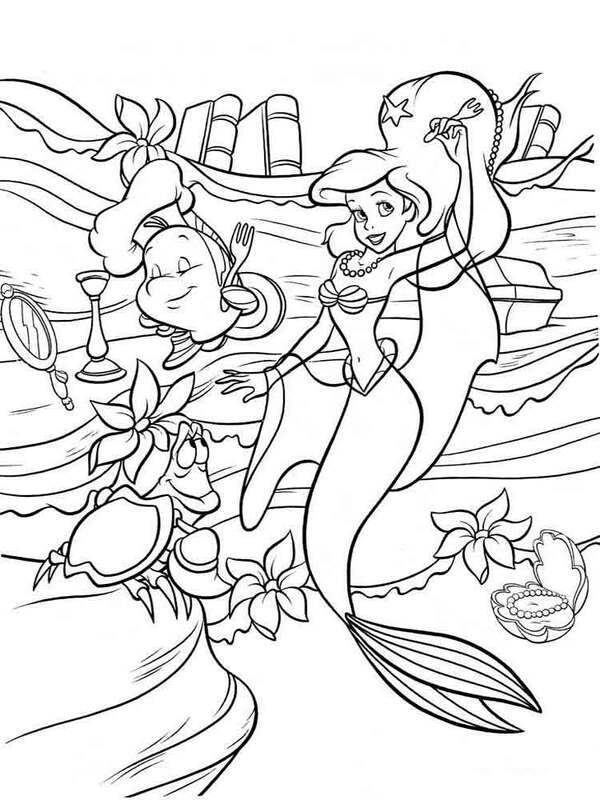 The bright and colorful cartoon The Little Mermaid allows to make a set of images for coloring with The Little Mermaid Ariel and her friends.